After a flooding, some business owners decide to undertake the clear up themselves and refrain from hiring a specialist company to help. However, this can have some negative effects on the building and the company, so why is hiring a specialist company important? See our Flood Damage Restoration page for services. Undertaking the restoration yourself, taking time away from your own work and buying all the materials needed will likely cost you more than hiring a company to do the work for you. 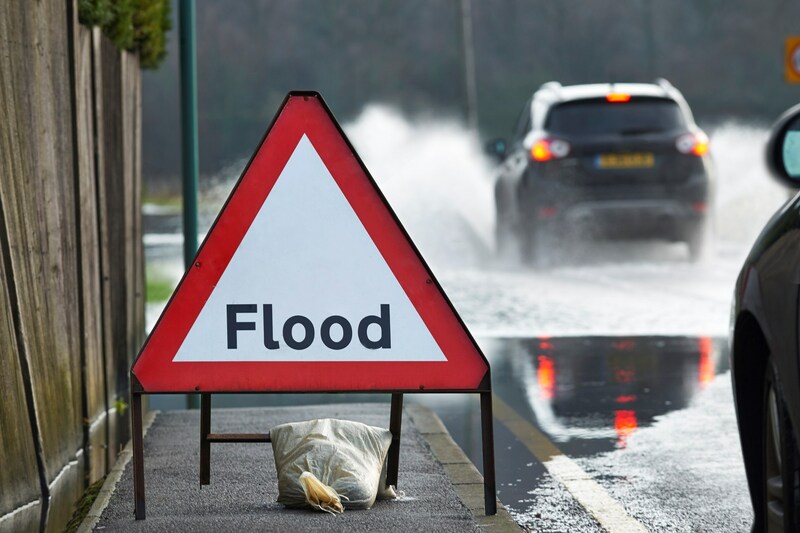 Equipment used in flood restoration is heavy duty and specialised machinery, therefore unless you know exactly what you are doing and what the equipment is capable of, it is best to hire professionals that can complete this work safely and successfully. Restoration can take a lot of time and resources to complete, hence using a company that will likely require a number of workers undertaking the process with state of the art equipment, will keep the time taken to restore your building to a minimum. When a building has been flooded there are often a lot more problems that come along with it and with some you might not be able to notice from just looking around. Professionals will know how to spot and search for other damages such as mould. If this goes untreated it can cause health problems or further damage to your business down the line, therefore spotting these other issues is vital. A professional restoration company will have the resources to detect and eliminate these contributory problems, as well as dealing with the initial flooding. With some companies, like Cornerstone false floors, walls and boxed-in drying equipment being deployed means businesses are able to get back to work as quickly as possible, reducing the potential for many weeks business disruption. This unique approach helps keep businesses on track after they have experienced a difficult time. Therefore we recognise that when your office is damaged in a flood it can be very stressful for employees and business owners and that using a specialist company can help take the pressure off and get your company back up and running as quickly as possible. At Cornerstone we fully understand how traumatic flooding events can be and the destruction it causes, and therefore we strive to be transparent in our decision making. We ensure our seamless process incorporates front-end client or policyholder interaction to confirm loss identification and any consequential health & safety issues. And, during the restorative period, the office based team will undertake pre-agreed channels of communication to ensure the client or policyholder are kept fully informed and that expectations are met. Our unique surveyor–led system guarantees a uniform approach to affected materials and processes in accordance with Cornerstone Method Statements, reducing restoration timescales and returning quantifiable cost savings for both our clients and customers. 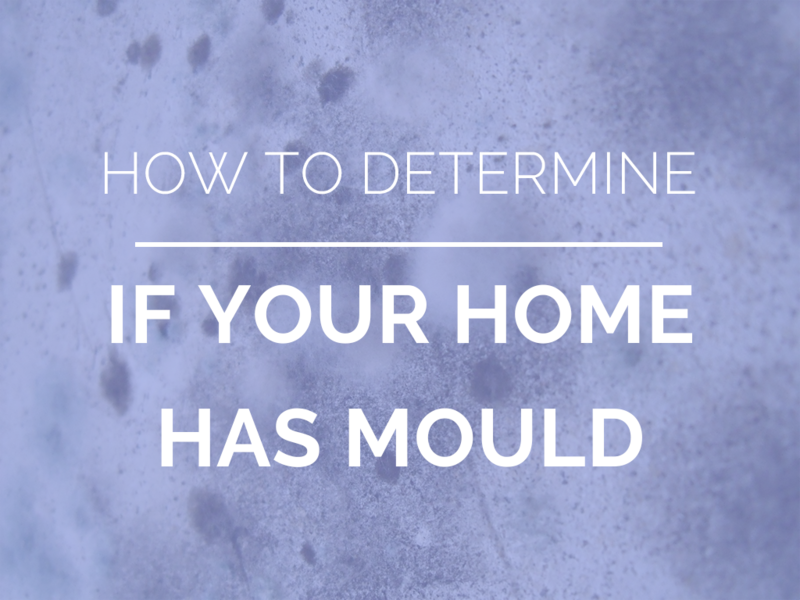 Mould is an issue that effects many homes around the UK. Mould grows where there is moisture, so is mainly found in areas such as kitchens, bathrooms and basements. Exposure to these damp and mouldy environments can cause various health issues for some people, including nasal stuffiness, throat irritation, coughing or wheezing, eye irritation and in some cases skin irritation, so it is important that you get rid of it and prevent it. Many people however are unsure of the warning signs of mould and some of them are actually quite difficult to spot, so here are some ways to tell if your property has a problem. In some areas it is easy to spot the appearance of mould, with it having slimy features and a dark green, black or yellow coloration. These are often found on walls and ceilings and develop into a more hairy appearance as the mould matures. Mould also easily rubs off the surface, which might seem like good news, but actually means it is more likely to have gone airborne, so you will still need to eliminate it from the source and prevent it from happening. Mould can grow underneath your flooring or behind your walls, so you might find bubbles and cracks in your paint and wallpaper and your walls could look warped. Mould has a very strong smell, especially when it is confined to one area of your property. Even if you can’t see the mould itself it could be confiding in your walls or behind your wallpaper, so if you have a musty smell that you can’t quite pinpoint it could well be a sign that your property has mould. Are the residents in your home starting to have health issues, such as coughing or breathing issues, that don’t appear to be because of a cold or flu? Do these symptoms subside when they leave the house and come back when they return? This could be a good indicator that your house has mould, which is causing these problems. If you have excessive moisture on your windows or condensation in your building from your pipes, it will indicate there is a lot of moisture in your home, making it a great breeding ground for mould, so can indicate that mould is already present in your property. If you have had problems such a leak you are at more risk of having mould. Basements are very susceptible to getting mould as they often don’t have a lot of ventilation and often very cold, so if your house has a basement it is important to check this out for damp and mould. If you need help diagnosing whether your home has mould, Cornerstone have years of experience in diagnosing condensation, mould and fugal growth. Along with their experienced expertise, Cornerstone use a Remote Monitoring service of internal atmospheric conditions and give a detailed structural moisture survey that help clearly identify the existence of mould and where it is coming from. If you are a tenant in the building you will need to make sure that the owner is aware of the fire and damage. If you are the owner the first thing to do after your property has been involved in a fire is to contact your insurance company, to commence the insurance claim as quickly as possible. The buildings insurance should cover the costs of repairing the property and if you have contents insurance this will cover the cost of replacing and repairing any furniture or appliances in the building within the specific policy cover. 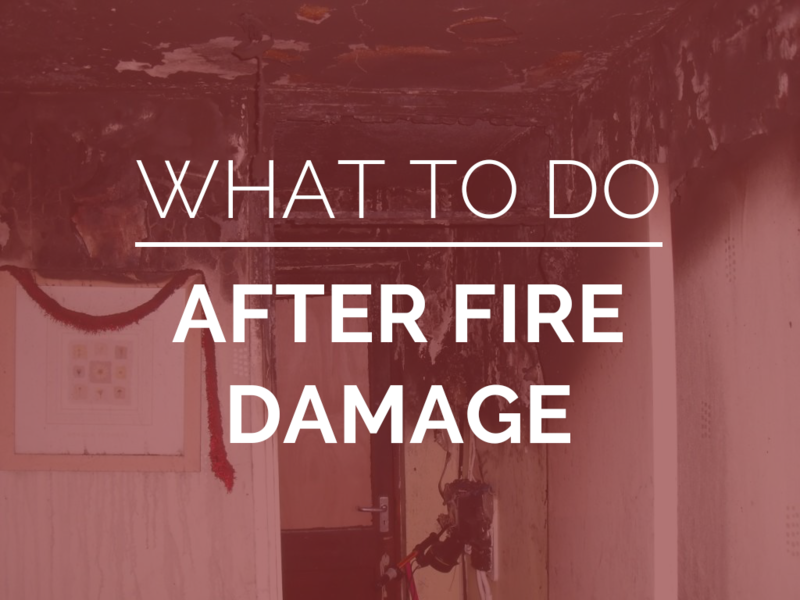 With acknowledgement from the insurer the next thing to do is to call a fire restoration company to give you an assessment of the property and any affected contents. It is important to do this as quickly as possible, so that the prevailing damage doesn’t lead to further deterioration. Do not enter the building unless you have been told that it is ok to do so by the emergency services or a professional company. After the professionals have assessed the situation they will be able to derive a plan of how to best restore the building and/or contents, determine how long it will take and how much it will cost. Any possessions that you want to keep will likely need to be removed and put into safe storage, with some companies offering this in their restoration services. The first thing the restoration company will do will be to make sure anything that could be causing further damage is a priority and dealt with quickly. This willalso ensure the building is completely secure before they continue with the works. For example, if the fire has resulted in a hole in the roof, they will make sure this is sealed in order to prevent any further damage, by inclement weather but also, any residual soot particles can lead to secondary deterioration of surfaces they reside upon. Once the initial decontamination has taken place to arrest any further deterioration, an assessment and drying of any water damage from busrt or leaking pipes or from extinguishing the fire will be undertaken. These areas will be dried and sanitised to minimise any potential heath issues and will include the eradication of residual odours as a result of the fire. This could include dealing with fabrics and/or hard surfaces. The clean up process will include noting, listing and disposing of any items are deemed beyomg economical repair. The next stage is to repair and restore the affected contents. Most restoration companies will take care of any dry cleaning and washing of fabrics around the home. If possessions are damaged beyond economical repair, the restoration company will advise your insurer so that any replacements can be secured. There are occasions where the damage restoration company can undertake timely structural repairs also and this will be in line with instructions from your insurance company. Cornerstone can provide a professional evaluation and report for restoration or replacement with associated costs for damaged structural and contents materials typically based on the resultant surfaces conditions, post-fire conditions and any pre-existing conditions. For general enquiries about Fire Restoration or for a quote, call our expert team today 0344 846 0955.